In today's blog Travel ItalianStyle's team member Jessica Risolo tells the story of Italian winemaker Elena Pozzolini! 31 year old Tuscan native Elena Pozzolini is not only an accomplished winemaker, she is also one of the few women working in a very male dominated industry. As the winemaker and CEO of Tenuta Sette Cieli ("The Estate of the Seven Skies") she is considerably younger than many of her colleagues, the majority of which are male. According to the Napa Valley Wine Register, Elena initially planned to study agriculture in college but her interest in wine was sparked by a viticulture class. She graduated from the University of Pisa where she majored in viticulture and enology. 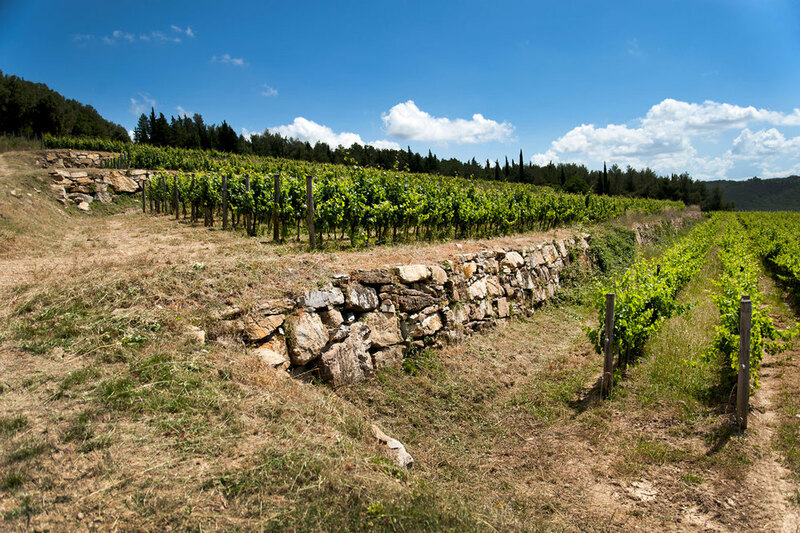 Together, these two disciplines incorporate all aspects of wine making. She has extensively studied vineyard diseases as a part of her work, in order to figure out why diseases occur and how to produce the best grapes and wine possible. In addition to her extensive experience working for Italian vineyards, Ms. Pozzolini has also traveled and worked internationally, in places such as California, Argentina and Australia. She initially worked in Argentina because it was difficult for her to find a job in Italy, after a few years and lots of success and experience, she returned to Italy where she recieved job offers from every vineyard she applied to. She has been with Tenuta Sette Cieli since 2013. Under her leadership, is an all female team of workers who are responsible for the wine that the vineyard's patrons and clients enjoy so much. The vineyard's website boasts gorgeous pictures of lush fields and hearty looking grapes and wine. It even suggests foods to enjoy with the specific types of wine that they produce. The vineyard provides a view of the Tyrrhenian Sea and the green forestry. It provides a perfect location for wine tasting or even site seeing of beautiful Southern Tuscany. Wine is an incredibly important part of Italian commerce and culture, and traveling to this idyllic vineyard is a must when you need a break from the bustling, tourist dense cities, or just a great glass of vino created by Elena and her team! 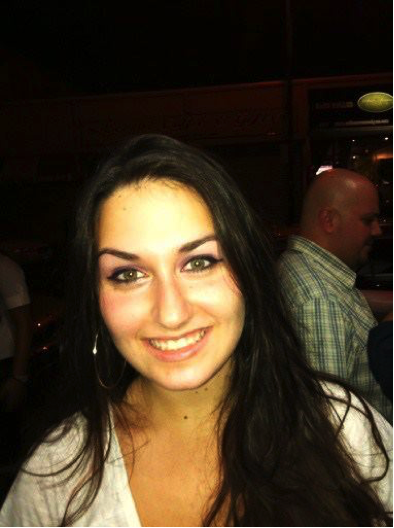 Jessica Risolo is attending Manhattan College studying English and Women and Gender Studies. She comes from a large, loud Italian and Brazilian family that has inspired her desire to travel the world. An avid lover of Italian culture, feminism, iced coffee, pugs and all things cheetah print, she is very excited to be working with Travel Italian Style to coordinate research on Italian women and culture. Cantine Aperte 2015 May 30th-May 31st! It's the most wonderful time of the year in Italy, Open Winery Weekend! Dating back to 1993, this annual event filled with culture, art, food & wine was once called "Open Cellar Day." Now, it has been extended for two days in many areas of Italia! What is it? This important event for Italian tourism was created to bring awareness and appreciation to their wine regions. Just like regional dishes, each areas wine is unique to them and they want to prove it! Exploring Italian's vineyards in not like in the USA. Most tastings are appointment only but this weekend guests have the ability to hop around from place to place, touring the cellars & tasting amazing local wines from big names to boutique/family run homes. In addition to wines, many will offer local cheeses, olive oils and other homemade specialities. The best part is that this event is run by the winemakers themselves, giving you the ultimate experience. Working for a tour company and having amazing Tuscan friends gave me the upper hand in experiencing this special day in the best possible places (about 4 times)! This week on my newsletter I will be sharing two of my favorite locations in Tuscany as well as other regions to consider visiting, so be sure to sign up to find out more! Also, I have a question for you: Would you be interested in joining Travel Italian Style on a tour during this day? Comment below if so!